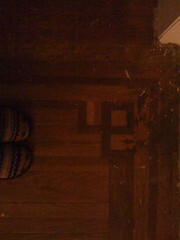 amy's floor. her new place is so beautiful in an urban vintage way. she moved on the first, i hope the new place is just as cute!